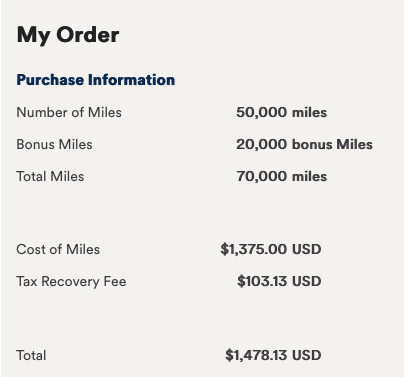 What is new this time around with the buy miles offer is Alaska now setting in place a maximum amount of miles you can buy in a year if you don't hold MVP status. Non-Elite members can only buy 150,000 miles per year now. MVP, MVP Gold, and MVP Gold 75K member are not subjected to this limitation. Seeing that Alaska does have 50% bonuses at times I wouldn't buy at 40% unless you have a need for these miles to be redeemed over the next 60-90 days at which time we may see their next bonus offer. If you do buy right now remember you can redeem miles for premium class flights on British Airways, Cathay Pacific, Hainan, Korean Air and more, there are lots of options for you to use these miles. It only takes 70,000 Mileage Plan miles to fly Cathay Pacific First Class one way from North America to Asia and those 70K will cost you US$1478.13 as seen above - and to pay for that first class will cost you a lot more than that! Find many more Mileage Plan bonus miles offers here!